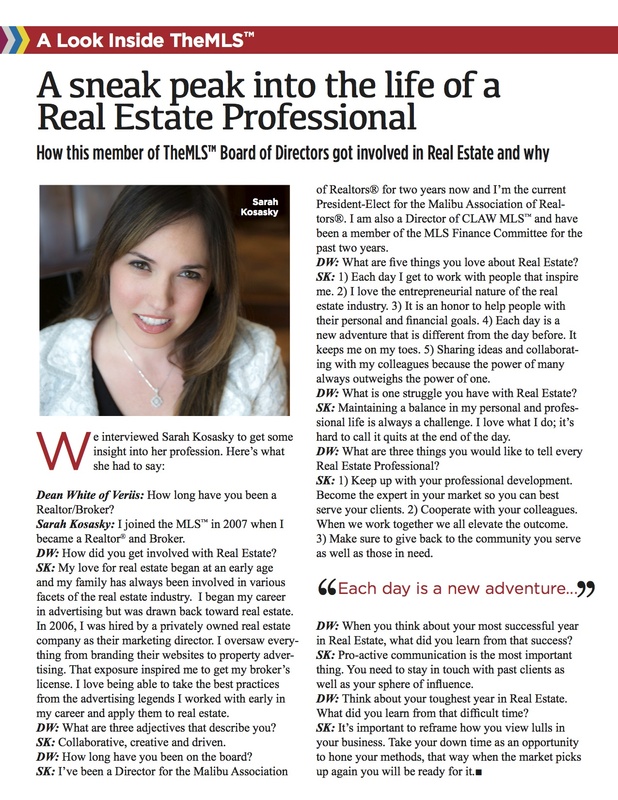 Sarah Kosasky is truly passionate about real estate and marketing. After graduating from The University of California Davis, Sarah entered the advertising industry where she worked to develop successful campaigns for numerous Fortune 500 companies. She now brings her vast strategic marketing background to her real estate career. As a Founding Partner and the Manager of Partners Trust Malibu, Sarah places a high priority on personal and professional growth and is always looking for new ways to excel and enhance the real estate experience. Kosasky was named Malibu Realtor of the Year in 2015, is the immediate Past President of the Malibu Association of Realtors® and serves as a Director for the California Association of Realtors®. Furthering her leadership, Sarah serves on multiple committees devoted to guiding the future of real estate. The Los Angeles native possesses an extensive knowledge of the real estate markets from Malibu to Beverly Hills and the Westside. Sarah prides herself on her professionalism and is committed to offering her clients the highest quality representation and client service. Sarah’s capabilities and integrity were invaluable in helping me to resolve a complicated real estate challenge. Because of her involvement the deal was successfully completed and everyone was a winner! I highly recommend her! She was a joy to work with on all levels.